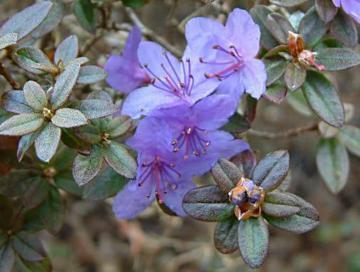 Small compact evergreen with small, scaly, dark green leaves, tinted purple in winter. Mauve-blue star-shaped flowers about 3cm across, in early and mid spring. Hybrid of Rh. impeditum x Rh. 'Saint Tudy'.